Welcome. Go to google and search for SEO expert. As you can see, I am number one in the US. Now search for Local SEO Expert, I am one or two, it fluctuates. But, I DRIVE CUSTOMERS. Now that I have established my authority let’s get to growing your business. I have been working with Roofing companies for 15+ years. Heck, I live in the hail belt and seemingly replace my roof yearly! In today’s digital age, online businesses face a multifaceted challenge in being seen and utilized over their competitors ranking at the top of search engines. A highly profitable company has dozens of competitors vying for those top Roofing SEO rankings. Roofing companies and roofing contractors face hundreds of competitors in local search results. Google is more demanding than ever in ranking websites for roofers. It is all about providing searchers quality, relevant, and useful info. Problem: You have your residential or commercial roofing website up and running, but it is just not growing your online presence or performing at its full potential. Reason: Your faulty online roofer marketing strategy, or lack thereof, is to blame. Maybe you have received poor services in the past? Perhaps you have not had the understanding or time to implement quality online marketing strategies? Whatever the reason, there is a solution. Solution: My SEO for roofers is your solution. I include a comprehensive digital marketing strategy to cover all your bases from SEO and content marketing to social media management and review acquisitions and management. Results: Your website will be at the top of search engine results. Once there, customers will find quality, useful, and engaging content. You are likely to have many questions. Let’s go through the basics together. I was not sure how much longer my roofing business could survive back in November 2017 when I started to work with Brad. It is now March, and the past few months new internet customers are growing steadily. I started seeing results just six to eight weeks after Brad worked his magic on my struggling site. How Can The Right SEO Strategy grow your roofing business? 1. Outrank your competitors in local search results. “roofing,” “roof repaired,” “roof estimates,” “home improvement,” “roofing contractors,” “roofing business,” “commercial roofing,” residential roofing,” and such searches along with a geographical location. 3. Attract your target audience with quality content that engages, helps, or informs them. 4. Convert roofer searchers into roofing clients through an optimized website with conversion rate optimization. I focus on Local SEO, improving your roofing website, and generating roofing leads. Leaving you time to focus on serving your customers and growing your business. Google no longer views those using the internet as searchers. Today, they are clients – Google’s clients. Google aims to only provide their clients with helpful, relative content. You seek to get Google’s customers to your site. What this means for your roofing website is that you absolutely must have high-quality, applicable text, video, and images. Otherwise, Google will send their clients (i.e., your organic traffic) toward a competitor’s site that does provide it. The majority of today’s consumers, being tech-savvy and smartphone-obsessed, perform organic Google searches for most of their needs. Ad Week published a study showing an astounding 81% of consumers conduct online research before a purchase. This means that searchers looking for roofing companies turn to the internet first to research possible roofing options, roofing company reviews, and details of potential roofing services and providers. And, that means that having a highly-visible online presence is crucial to providing potential customers with their preferred means of finding goods and services so that they can become actual customers. There are a plethora of marketing options and tactics you could implement, but SEO remains the most cost-effective per lead. It is often ten times or more higher to accrue new roofing clients through traditional marketing tactics than it is through SEO tactics. 24/7, your Roofing SEO is always ‘open for business’ and working toward your business goals. It is the one marketing tactic that doesn’t involve the website owner holding its hand to function. SEO is targeted, efficient, and effective at its job. I understand precisely how to implement SEO to work for your business’s needs, whether that be competing with a long-standing, high-ranked competitor or dominating the local market against local competitors. How I Turn Marketing Goals Into Realities? You want to dominate the online landscape for the roofing in your area. By attracting customers, improve branding and image, and ultimately become the go-to business. I am here to help you turn that goal into a reality. 1) You are seen by customers in search of your business’s offerings online. 2) Your website converts these searchers into customers through quality content and conversion optimization. Roofing contractors and roofing businesses only thrive long-term when they have a consistent influx of new customers. Without ranking in search, you have buried your business in a sea of competitors and tied the hands of new searchers wanting to find you. I allow you to be easily found in search results by using specific keywords related to your business offerings. New, high-value customers can now see you, click you, and utilize your services. The end game of SEO is reaching the right customers at the right time. To accomplish this, you will need a comprehensive roofing marketing and leads plan that goes far beyond plugging a few keywords here and there. In fact, I believe that the best roofing website wins. Remember, if you are invisible to search engines, then potential customers in your local market cannot find you either. This is particularly of importance if you are looking to attract potential customers in your geographical roofing service area. After extensive keyword research for your specific area and offerings, I deploy effective techniques to ensure that relevant organic traffic arrives at your website. Search engines reward websites that consistently add novel, quality, useful content with higher website rankings. My customized content management and marketing strategy uses an array of blog posts, press releases, updates, and such to ensure you have a steady stream of desirable content to deliver to your customers. Ultimately, this enables every funnel point of your website to work in cementing your brand as the trusted, go-to site for your roofing niche. This simply means that your site is as user-friendly as possible. You want every visitor to be able to complete any and every task within your website with ease and comfort, such as how they contact you. Efficient. Effective. I can help you make sure your website is ready for those conversions to happen smoothly. We will start by reducing any hesitations your customers have through your site layout and function so that customers can proceed swiftly and confidently. Links to your website is still a primary Google Ranking factor. Digital PR simultaneously boosts your SEO efforts while also establishing you as an authority in the field of roofing. The tactic is used to increase a brand’s online presence through relationship building with other critical online powers, such as journalists and writers. You will gain backlinks, citations and press mentions to solidify your brand and add authenticity and authority to potential customers. Social media is a massive portal for business-to-customer engagement. I will create engaging content for you to use to reach your potential customers across all the social networks. Thereby increasing your brand awareness, and opportunities to directly engage potential clients. Bradley surpassed my every expectation. He came highly recommended by a colleague in San Diego. I was still skeptical, though, since he was not a large agency. I am so thankful that I decided to go with Brad’s versus one of the other firms I interviewed. I did not want an account representative that couldn’t even remember the name of my roofing company. He informed me of what would be realistic for my business up front, and he maintained a professional, personalized style of management that I just can’t recommend highly enough. Savvy roofing companies already know the value of a comprehensive SEO strategy. They are often just unsure what to include and how to implement it. That is where I come in to provide you with the practical and innovative methods to improve your reputation, increase your brand awareness, demand visibility, and outflank and outrank your competition. SEO Expert Brad has been a leader in online digital marketing since 1997, specializing in and working almost exclusively with the roofing industry. My experience entails online and brick and mortar roofing businesses. I exclusively work one on one with all my customers, unlike traditional marketing agencies. Cheap and offshore solutions frequently result in wasted money or a Google penalty. I exclusively use white hat tactics that have a proven track record of ethical success and that strictly adhere to all of Google’s guidelines. None of my methods will ever endanger the credibility, success, or existence of your website. • Analysis of your site against its top three competitors. • A consultation to discuss your roofing website. • A copy of your audit delivered to you within 48 hours. Let’s make a marketing plan for your roofing company. I do not believe in a one-size-fits-all approach to Roofing SEO. I certainly don’t believe in standard packages that entails a client paying for services they do not need. Therefore, you will never find a standard price quote for my services. 1) Complete solutions that are tailored to meet each client’s marketing and cost needs. 2) Private search consulting services that are paid by the hour. I am happy to answer questions you may have about your roofing markeing and SEO.  I can provide you with a Free Custom SEO Consultation and Report. The report alone is a $999 value, and it’s yours to keep. You have nothing to lose, there is no obligation.